I recently attended a session on the doctrine of the Trinity. As we walked out of the classroom, one student, confused and frustrated, said, “Can anyone tell me what ‘person’ means?” The doctrine of the Trinity is undoubtedly one of the most challenging doctrines for Christians. The dense concepts of the doctrine such as diversity-in-unity and unity-in-diversity or the classical language of Greek ontology (e.g., ousia and hypostasis) present challenges to many Christians who want to understand this doctrine. As a result, the doctrine of the Trinity has often been eclipsed by the doctrine of God. Indeed, the doctrine was perceived as illogical and useless, especially during the 19th century. Yet, the significance of the doctrine of the Trinity is immense because it is the basis of our Christian belief and has implications for all other doctrines of Christianity. The Quest for the Trinity: The Doctrine of God in Scripture, History and Modernity (Downers Grove: IVP, 2012) by Stephen R. Holmes is a timely and helpful resource. Holmes’s approach to this important issue is unique and goes against modern trends in Trinitarian studies. One might have expected that Holmes would argue how the modern Trinitarian doctrine has overtaken the accounts of the earlier tradition (e.g., person over substance, communion over monarchy) or praise the implications that modern trinitarian theologians draw out of the doctrine (e.g., the Trinity as a model of human society, the Trinity as a model of ecclesiology, etc.). In much of contemporary writing on the Trinity, the focal point is modern trinitarian theology rather than the tradition. But Holmes takes the opposite position and contends that modern trinitarian theology fails to be consonant with the tradition. He argues, “I see the twentieth-century renewal of Trinitarian theology as depending in large part on concepts and ideas that cannot be found in patristic, medieval, or Reformation accounts of the doctrine of the Trinity” (p. 2). To support his claim, in chapter 1, Holmes introduces several modern trinitarian theologians and examines their ideas about the Trinity, starting with Karl Barth. 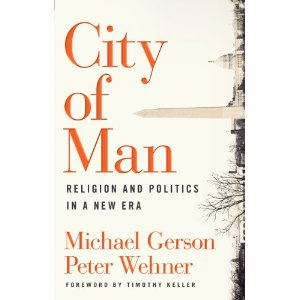 In so doing, he delineates how the doctrine has become detached from the traditions (e.g., in the concept of personhood, the relation of God to the creation, etc.). In chapter 2, Holmes examines the Bible and argues that the doctrine of the Trinity is supported by scriptural evidence. From chapter 3 to chapter 7, Holmes provides historical presentations of the development of the doctrine. In chapter 3, Holmes focuses on early patristic developments in the doctrine and examines the ideas presented by Irenaeus, Origen, and Tertullian. In chapters 3 and 4, Holmes examines the debates in the fourth century concerning the divine essence and nature. In chapter 5, Holmes dedicates nearly the entire chapter to Augustine. Augustine is perhaps the anchor of Holmes’s trinitarian theology. Holmes closely examines De Trinitate to explore Augustine’s doctrine of the Trinity, while attempting to defend him against charges brought by recent scholars (e.g., the late Colin E. Gunton and Robert Jensen) on the ousia-hypostasis distinction and vestigial trinitatis. In chapter 7, Holmes surveys the medieval doctrine of the Trinity on issues of how to understand unity-in-diversity and diversity-in-unity among the persons of the Trinity. Chapters 8 and 9 record developments in anti-Trinitarianism. In the sixteenth century, a small group of Christians began to question the doctrine of the Trinity. By the beginning of the 19th century this view had become widespread. As a result, the doctrine was considered useless orthodoxy: “Persons and nature [were] no longer meaningful or useful terms” (p. 190). Hence, the “doctrine of the Trinity stands in need of re-narration” (p. 190). Yet this “re-narration” has appeared in modern views of the Trinity in which God is no longer metaphysical, but moral and personal. Neither is God immutable; on the contrary, this personal God acts toward the creation for the ultimate goodness of the world. Yet, Holmes finds this modern movement of a personal God troubling because the modern concept of person clearly shows diversion from the traditional teaching of the Trinity. He states, “The practice of speaking of three ‘persons’ in this sense in the divine life, of asserting a ‘social doctrine of the Trinity,’ a ‘divine community’ or an ontology of persons in relationship’ can only ever be, as far as I can see, a simple departure from the unified witness of the entire theological tradition” (p. 195). Thereby, Holmes concludes that modern trinitarian theology fails to remain in the tradition. I appreciate Holmes’s viewpoint very much, and I share some of his concerns (e.g., over divine simplicity, the divine essence, and personality). Yet, I am not sure if I am ready to write off what modern trinitarian theology has accomplished since Barth. The bottom line of the debate in this book seems to me, after all, the same familiar debate over ousia vs. hypostasis. Holmes is a Western theologian. Just as the Western church formulates the Trinity with an emphasis on God’s essence (ousia), Holmes’s theology starts with essence. But this view seems lacking in light of God’s subsistence as three persons, being in communion. To be a person is to be more than an “individual intelligent substance” (p. 195). As the late Colin Gunton argued, God is a being in communion; therefore, He is relational. And this God has relation to His created world through the two hands of the Father, namely the Son and the Spirit. If so, it is imperative to understand this personal aspect of the trinitarian God. The task that is given to modern theologians, as Holmes also argues, is to develop the concept of person while remaining faithful to the tradition. For a thought-provoking treatment of the Trinity that challenges the status quo, I highly recommend this book. On the Way to the Cross: 40 Days with the Church Fathers is a worthy resource for Lenten devotions. Each selection starts off with a brief introductory verse(s) and continues to a prayer of confession—since Lent is a season of repentance—Scripture from John, reflections from church fathers, closing prayer (from early church writings), and suggested Bible passages for further reading . . . a structure, or rhythm, as the authors explain. By going through all forty days, the reader will cover the gospel of John. Some of the individuals cited will be familiar to most: Augustine, Bede (the venerable himself), while other names and sources will be new to many. Christians of virtually all stripes observe Good Friday, Easter, and Christmas. For Christians whose tradition does not especially follow a liturgical church calendar, On the Way introduces the discipline of Lenten readings and reflection. Some say that putting a new initiative into practice for six weeks is enough to develop it as a habit. Six weeks of readings from On the Way to the Cross would be an excellent way for Christians who have lapsed in their daily reading of Scripture to recapture the pleasure. And for those who have been continually doing so, On the Way contains interesting and insightful offerings for further maturing. On the Way to the Cross by Thomas C. Oden and Joel C. Elowsky with Cindy Crosby helps us connect with those who have come before, reflect with them, and allow their prayers to flow over us: “O Lord, bless all your people and all your flock. Give . . . your love unto us . . . the sheep of your fold, that we may be united in the bond of peace and love . . . for the sake of Jesus Christ, the great Shepherd of the sheep.” Amen. “The analysis of ‘signs,’ particularly with respect to language, from the Greek semeion, indicating a ‘mark’ or a sign of something (as in smoke is a sign that there is fire). Just as a street sign can point the way to the park, so words can function as ‘pointers’ or signs of things and ideas. Words, for instance, whether oral or written, are understood as ‘signs’ of both thoughts and wishes of a speaker or author, as well as signs pointing to specific realities. “Classically, Aristotle spoke of signs in terms of symbols: ‘Spoken words are the symbols of mental experience and written words are the symbols of spoken words’ (De interpretatione). 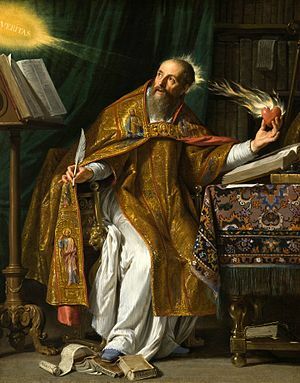 Further developed by the Stoics, semiotics was advanced by Augustine’s discussion of signs in his On Christian Teaching. 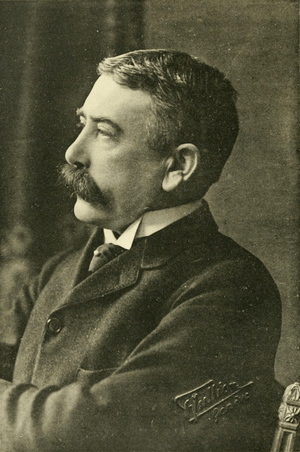 In the twentieth century, and in light of the ‘linguistic turn,’ Ferdinand de Saussure made semiotics central to the discourse of most disciplines. (Saussure’s classical model was a primary target of Derrida’s deconstruction.) Of particular concern was how to understand the relationship between the ‘signifier’ (a particular word or mark) and the ‘signified’ (that to which the mark ‘pointed’). Saussure suggested that the relation between signifier and signified was entirely arbitrary.” . . .
— “Semiotics” in 101 Key Terms in Philosophy and Their Importance for Theology, 88. 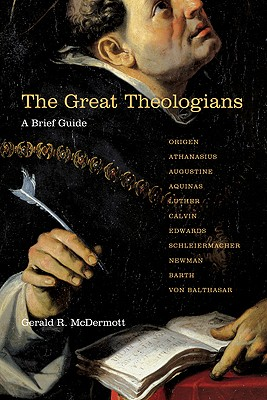 The Great Theologians: A Brief Guide by Gerald R. McDermott is an excellent resource for those who are interested in understanding how theological thinking has been influenced and molded by Christian tradition. In recent years, I have come to see how a theology student can benefit from studying historical theology. Of course, I don’t believe that historical thinking can play a magisterial role in place of Scripture. Yet, we can learn a great deal from those who went before us (including mistakes that they made), and better understand where we are today. Alister McGrath notes, “Part of our theological method must include an examination of the past to understand how we came to be where we are.” In other words, theology is not simply about giving priority to the Bible; it is also about valuing and interacting with the ideas scholars derive from their engagement with tradition. As Graham Cole summarizes, “Theological thinking is also historical thinking …. To ignore the past would be an immense folly.” Suffice it to say that McDermott’s book succeeds in answering these concerns. What distinguishes McDermott’s book from others and what I thought to be very beneficial is the format that he applies to each chapter. Each chapter starts with a biographical sketch of the theologian, telling a story about that theologian’s life, and then introduces main themes of that theologian’s thought. Then, McDermott zeroes in on one theme that is distinctive to that theologian and provides an analysis of it. I really appreciated this format. It helps me to see the bigger picture of how each theologian came to form his particular theological thinking, how he reacted to the theological trends of his day and how such events informed and influenced his view of Scripture, etc. As a result, it demonstrates the interesting journey of the theologian’s mind to his particular thinking. Another strength that comes from the format is that since the author keeps it uniform throughout the book, it was easier to compare one theologian to another. This is nicely done especially between Jonathan Edwards and Hans Urs von Balthasar on the subjects of beauty, human experience (feeling) and reason in doing theology. To give another example, Friedrich Schleiermacher argues for the feeling of absolute dependence as the essence of religion (reacting to the Enlightenment), while Karl Barth turned attention to God’s self revelation in the Bible. Yet, Barth did not seem to exclude the significant aspect of human experience or feeling in doing theology, since his view of Scripture is that the Bible becomes the Word of God when the Holy Spirit makes it come alive for its readers. Interestingly, Edwards saw both feeling (affections) and thinking (cognition) as important aspects of religion. In my opinion, Edwards has the most balanced view on this important subject. An additional strength of this book is that McDermott did not neglect to include the viewpoints of contemporary systematic/historical theologians such as Alister McGrath and Timothy George. For example, McDermott cites McGrath in the section on Luther’s theology of the cross. This is an excellent example of how past theology can continue to influence contemporary theologians and how the interaction of past and present can further unfold God’s message of the cross. I enjoyed this book very much. One thing that I wondered before reading it was how he chose these eleven theologians. What were the reasons behind his selection? McDermott says that it was purely his personal preference. Whatever the reasons, I found it a good selection and I believe McDermott succeeded in accomplishing his purpose for the book: “I wanted to be able to provide a short and accessible introduction to some of the greatest theologians—so that any thinking Christian could get a ballpark idea of what is distinctive to each. . . . An introduction that could inform and provide a gateway to deeper study if so desired”(11). — Reviewed by Naomi Noguchi Reese. Naomi is pursuing a PhD in systematic theology at Trinity Evangelical Divinity School.